Three past UWM graduates found themselves each giving papers at the Texas Conference on International Business and Economics resulting in an impromptu reunion. 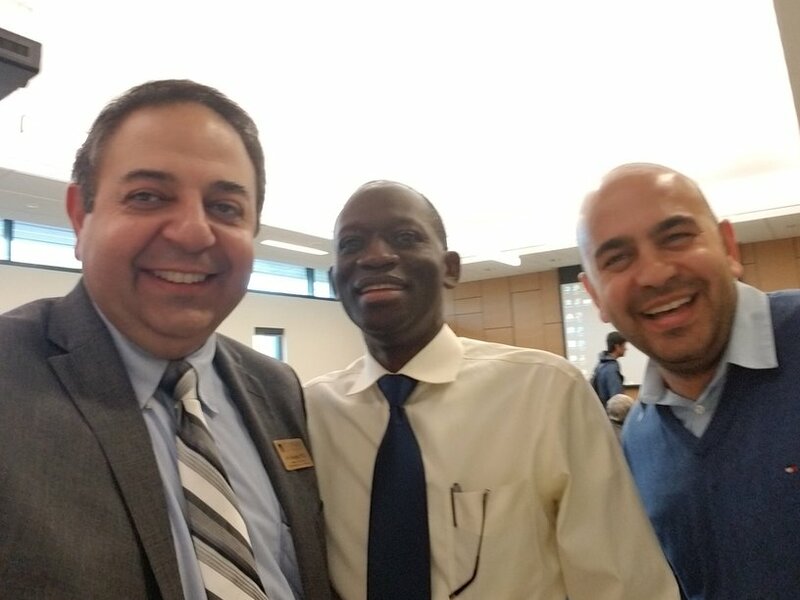 From left to right: Ali Dadpay (PhD 2007) from St. Edwards University, John Ssozi (PhD 2011) from Baylor University and Saleh Tabrizy (PhD 2015) from the University of Oklahoma. Thanks guys for raising the UWM Economics flag in the Lone Star State and letting us know!